Thanks to my amazing volunteer Patricia Chammard. 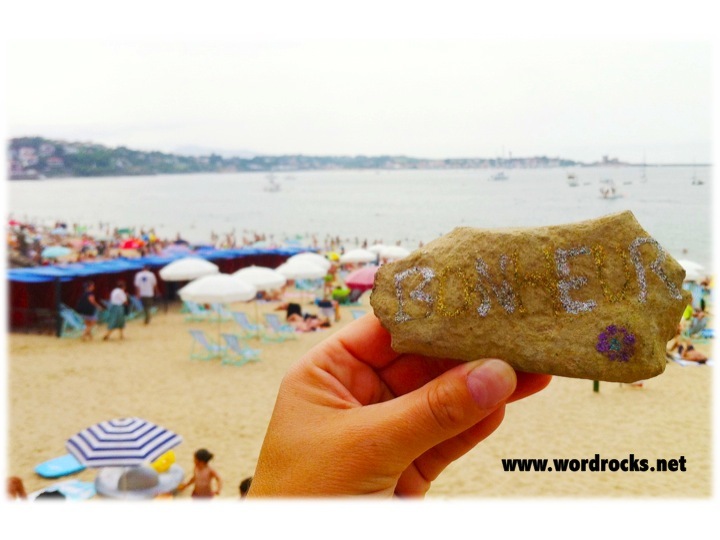 "We found this rock on Saint Jean de Luz Beach in France (bask country/Atlantic Ocean). 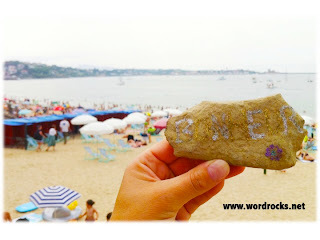 Now we know the existence of this Word Rocks we will contribute to this great idea !!"